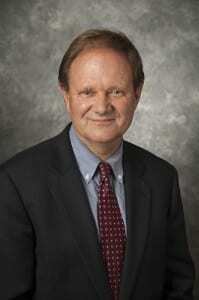 James F. Hollifield received his Ph.D. in political science from Duke University in 1985. He is the Ora Nixon Arnold Fellow of International Political Economy, Professor of Political Science, Director of the John Goodwin Tower Center for Political Studies at Southern Methodist University, and a member of the Council on Foreign Relations. In addition to SMU, he has held faculty and research appointments at Duke, Harvard, Brandeis, and Auburn. In 1992-93 he was Associate Director of Research at the CNRS and the Centre d’Etudes et de Recherches Internationales of the FNSP in Paris. From 1986 to 1992 he was a Fellow at Harvard University’s Minda de Gunzburg Center for European Studies, where he co-chaired the French study group, and in 1991-92 he was an Associate at Harvard’s Center for International Affairs. He has worked as a consultant on migration for various agencies of the U.S. Government, as well the United Nations, the World Bank, the OECD, the ILO, and other international organizations. Hollifield has been the recipient of grants from private foundations and government agencies, including the German Marshall Fund of the United States, the Social Science Research Council, the Sloan Foundation, the Owens Foundation, and the National Science Foundation. His books include Searching for the New France (Routledge, 1990) with George Ross, Immigrants, Markets, and States (Harvard UP, 1992), Controlling Immigration (Stanford UP, 1994, 2004) with Wayne Cornelius and Philip Martin, L’immigration et l’Etat-Nation (L’Harmattan, 1997), Pathways to Democracy (Routledge, 1999) with Calvin Jillson, Migration Theory: Talking Across Disciplines (Routledge, 2000, 2006) with Caroline Brettell, Herausforderung Migration—Perspektiven der vergleichenden Politikwissenschaft (Berlin: Litverlag, 2006) with Sigrid Baringhorst and Uwe Hunger, Migration, Trade and Development (Dallas: Federal Reserve Bank of Dallas, 2007) with Pia Orrenius and Thomas Osang, and Beyond Exceptionalism: Immigration and Integration in Germany and the United States (London: Palgrave, forthcoming) with Barbara Schmitter Heisler and Dietrich Thränhardt. His current book projects include The Emerging Migration State, a study of how states shape and control international migration for strategic gains, and International Political Economy: History, Theory and Policy with Thomas Osang (forthcoming with Cambridge University Press). He is director of a number of research projects, including Magnet Societies: Immigration in Postwar Germany and the United States (with Dietrich Thränhardt) funded by the German American Academic Council, and Migration, Trade and Development (with Pia Orrenius and Thomas Osang) funded by the Owens Foundation and the Federal Reserve Bank of Dallas. He is co-principal investigator (with Caroline Brettell, Dennis Cordell, and Manuel Garcia y Griego) of a three-year, National Science Foundation Project, entitled Immigration in a Sun Belt City: Immigrant Incorporation in the Dallas-Fort Worth Metroplex. He is co-director (with Dennis Ippolito) of a project on The Long Term Budget Challenge: Public Finance in the G-7 Countries, sponsored by the Robert Schuman Centre of the European University Institute, the International Financial Law Unit of the University of London, and the Woodrow Wilson International Center. He is co-director of a project on “North American Integration: Trade, Migration and Security,” sponsored by the Institute for Research on Public Policy (Montréal), the Tower Center at SMU, and the Colegio de Mexico. Since 2001, Hollifield has been the Director of the Tower Center for Political Studies at SMU. Duties include fundraising, managing programs in public and international affairs on the campus (specifically conferences, symposia, faculty and student fellowships, and internships), and selecting and mentoring post-doctoral fellows, as well as other research fellows and associates. The Center produces on average 30 programs a year (please visit the web site at http://www.smu.edu/tower/) including 1-2 major international conferences. Hollifield teaches courses in international and comparative politics and political economy, with a specialization on Europe and North America. From 1996-2006 he was Director of the International and Area Studies program at SMU. He has been the recipient of several teaching awards, including Pi Sigma Alpha professor of the year. His former doctoral students now teach at Rutgers, Michigan, IEP-Paris, Universität Münster, as well as other colleges and universities in the United States and Europe. He can be contacted at jhollifi@smu.edu or 214-768-3954.